Does the FWD hot hatch stand a chance against the AWD Subbie? Before the official one-on-one comparison track test begins, one must do the obligatory drag race between the two contenders, Honda Civic Type R and Subaru WRX STI. But let’s throw in a drag race kicker, just to make things more interesting: the Ford Focus RS. Once this three-way is completed (the winner probably won’t surprise you), it’s time to get to the task at hand. Now, how are the Civic Type R and WRX STI even direct competitors? Think about it. The Type R is FWD while the WRX STI is famously AWD. Come to think of it, the WRX STI isn’t really a track car. It’s at its best on a loose surface. 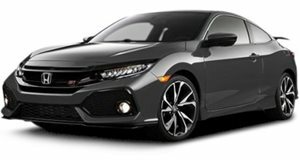 Then again, both the Honda and Subbie have some similarities, such as nearly identical power outputs and, when Honda dealers aren’t price gouging customers through markups, pricing. But still, the Type R is a much newer car, with a more modern engine and platform. 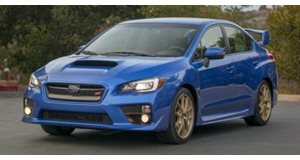 If anything, this comparison test makes it all too clear just how fast the WRX STI is aging. A replacement can’t arrive soon enough, especially given the existence of the Focus RS. But the WRX STI still has a few surprises up its sleeve, and it’s still pretty darn fast. However, the Type R was made for setting track records, hence all the time spent at the Nurburgring. Check out this latest comparison test from E46 Reviews with T.H. We promise you it’s worth 20 minutes of your precious time.